We are the largest, independent electrical and air conditioning wholesaler in Newbury, West Berkshire. We pride ourselves on providing a professional and competitive service - but we will also make sure it's personal to your needs and you are dealt with in a friendly and helpful way. Our warehouse is open Monday to Friday, from 7.00am until 6.00pm, to both the trade and public. 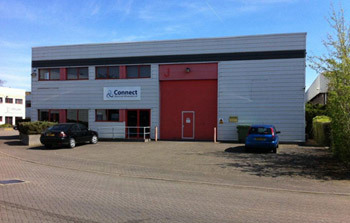 Here we hold a large amount of stock, have a friendly trade counter and easy parking. If you aren't able to come in to collect what you need, we have a small fleet of vans and offer a convenient and free delivery service. Although we hold an extensive range of products, we are also able to quickly source products which aren't in stock, or which are more specialist in nature. We are happy to liaise between the customer and manufacturer to provide design or technical advice and guidance and welcome either quotation requests or orders, by telephone, fax or email. We accept most major credit and debit cards.